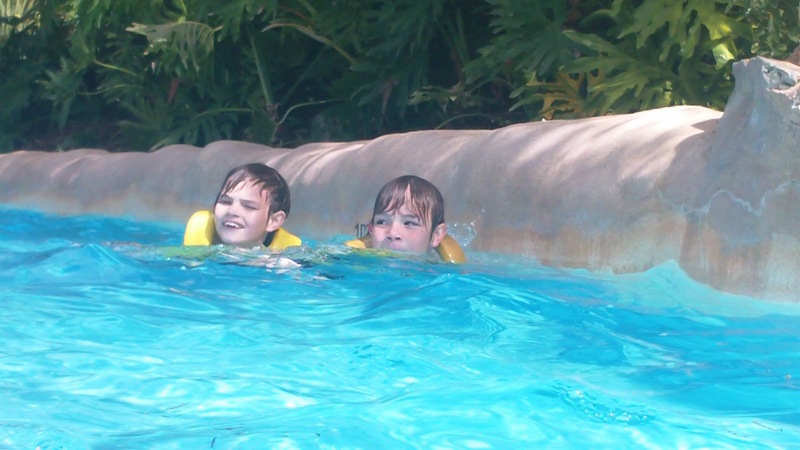 7 Kids and Us: Aquatica by SeaWorld Is Celebrating 5 years! Wow its already been 5 years since Seaworld introduced its water park, Aquatica, to Orlando, FL. Paige and I got to celebrate by going and enjoying what makes Aquatica a place to visit while in FL. We went in March which it happened to be a cooler day so all the pools were heated! It made for a nice day out. The best part for me was the SALES wow I was able to pick up 5 pairs of Jean Shorts for my husband retail $40! 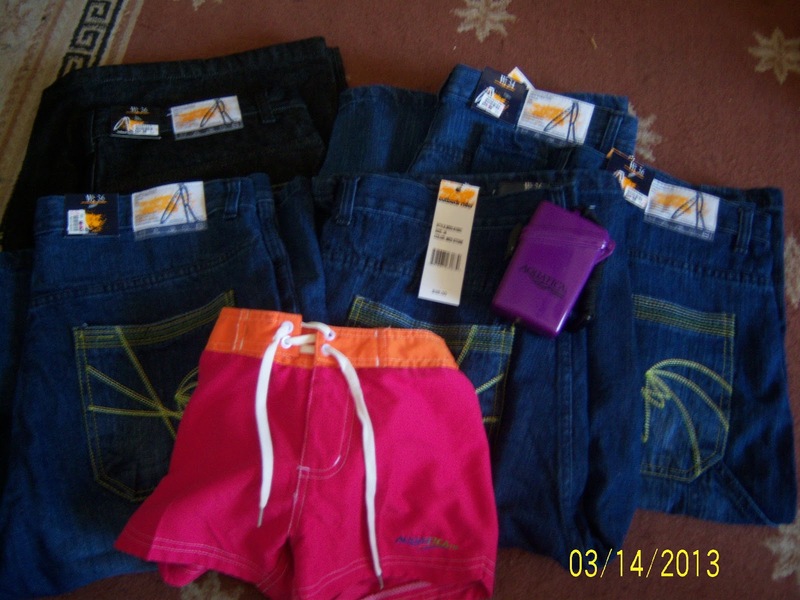 , a pair of shorts for my 3 year old daughter and a card keeper all for only $30! Each pair of shorts was $3.99!!!! That's a crazy savings! In honor of Aquatica's 5th Birthday they will be having these awesome deals all year long! Aquatica is also one of my favorites because they have life jackets at a lot of places which are all free of charge so there are no worries on if your child is a good but not great swimmer. This is another feature that makes Aquatica a great place is that parking is right at the park there is no overly long walks to your car after a long day of play. Most rides only took us tops 15 mins which made it easy to enjoy all the park had to offer. Our kids had fun just playing in the huge water area which adults are allowed to go in and go on slides as well. 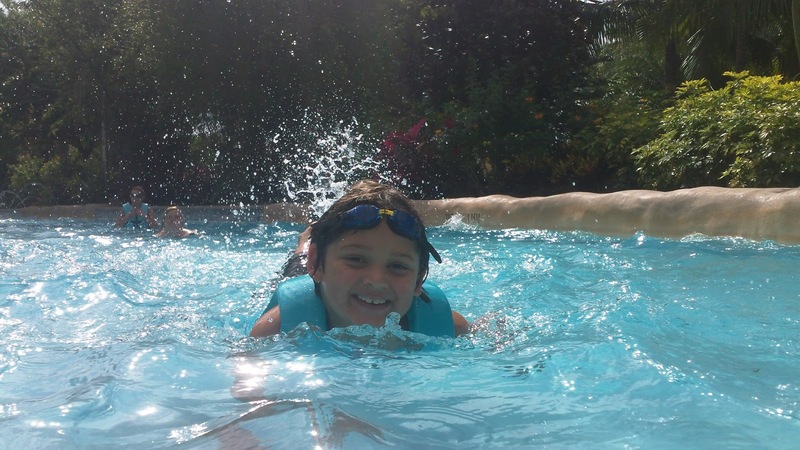 You can see our older post that we made last year about everything to do while visiting Aquatica, by clicking the link here.